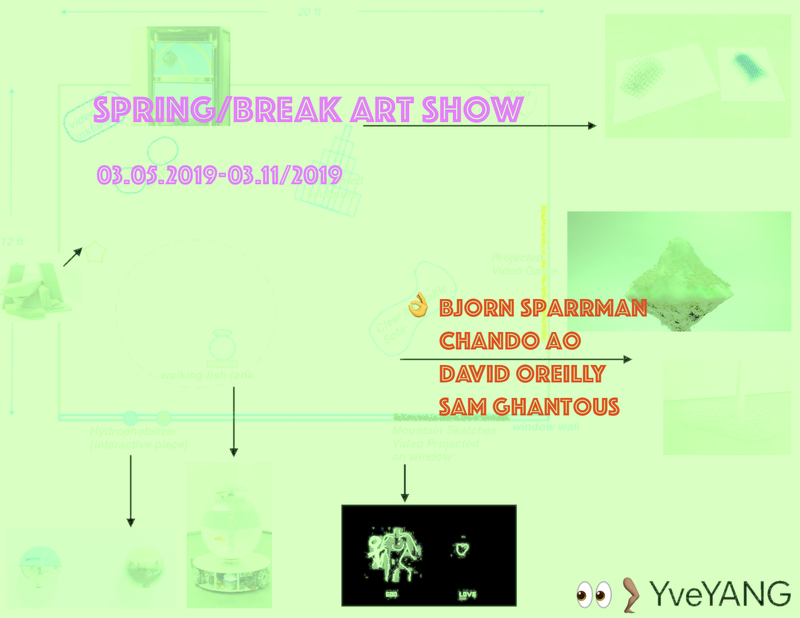 Yve YANG is pleased to announce our participation in SPRING/BREAK Art Show, New York, 2019. We present four artists in this group show, including Bjorn Sparrman, Chando Ao, David OReilly, and Sam Ghantous. The 2019 Theme of SPRING BREAK is FACT AND FICTION. Sam Ghantous (b. 1989) explores architecture’s tension with technology and its effects on cultural production. His work exists both online and in real life as objects, images, videos, situations, and installations. He recently graduated from the MIT Department of Architecture where he teaches and researches now. Sam has contributed to exhibitions in Toronto, Canada; Cambridge, USA; and Venice, Italy. Venue location: 866 United Nations Plaza, New York, NY, 10017.